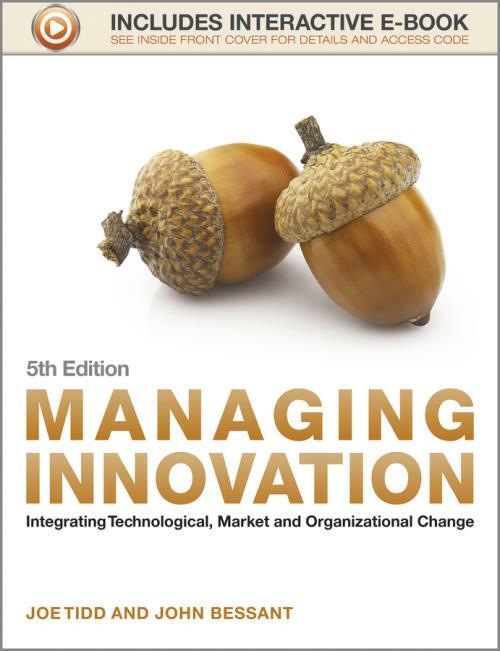 Managing Innovation is an established, best–selling text for MBA, MSc and advanced undergraduate courses on innovation management, management of technology, new product development and entrepreneurship. It is also widely used by managers in both the service and manufacturing sectors. Currently in its fifth edition, Managing Innovation has been fully revised and now comes with an interactive e–book housing an impressive array of videos, cases, activities and tools to bring innovation to life. The book is also accompanied by the Innovation Portal at [external URL] which contains an extensive collection of additional digital resources for both lecturers and students. - The Research Notes and Views from the Front Line feature boxes strengthen the evidence–based and practical approach making this a must–read for anyone studying or working within innovation. - The Innovation Portal at [external URL] is an essential resource for both student and lecturer and includes the Innovation Toolkit a fully searchable array of practical innovation tools along with a compendium of cases, activities, audio and video clips. - The interactive e–book that accompanies the text provides enriched content to deepen the readers understanding of innovation concepts. "Tidd and Bessant s text has become a standard for students and practitioners of innovation. They offer a lively account on innovation management full of interesting and new examples, but one that at the same time is rigorously anchored in what we have learned over the last thirty years on how to manage that ultimate business challenge of renewing products, processes, and business models. Those who want to innovate must read this book." "A comprehensive and comprehensible compendium on the management of innovation. It is very well organized and very well presented. A pedagogic tool that will work at multiple levels for those wishing to gain deeper insights into some of the most challenging and important management issues of the day."